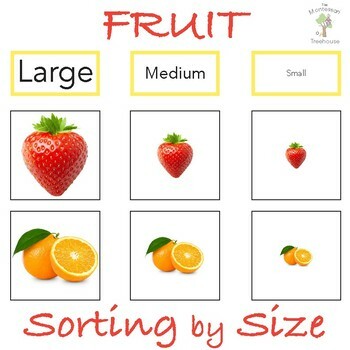 Sorting by size helps children strengthen their visual distinguishing skills. 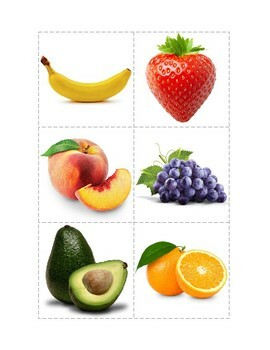 Young students love to do this fruit themed sorting activity any time of the year. Simply download, print, and cut along the grey dashed lines. 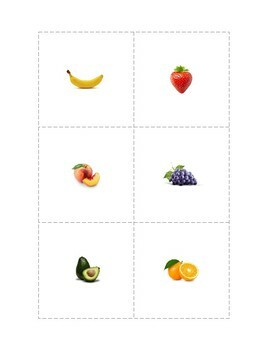 Laminate them, and you can use these cards year after year! 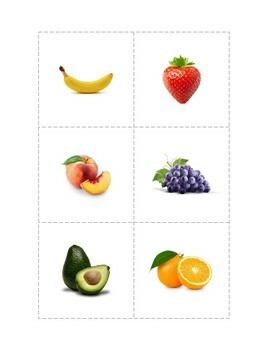 This set comes with 6 different fruit (banana, strawberry, peach, orange, grapes, avocado) in 3 sizes. There are two sets of labels so you can decide what vocabulary you want to use in your classroom or home: large, medium, small AND big, medium, little. Thank you for your interest and support! Enjoy!